Sponsored Post paid for by Geek Native. We may earn a commission on sales. Geek Native’s very own web store is powered by Redbubble, so the site that turns indie art into fashion and gifts is the natural choice for a Valentine’s Day raid. 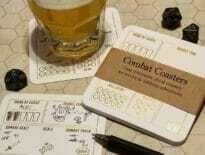 What can we buy on Redbubble that’s good for both Valentine’s Day and geeks? This is a bit of a weird one… but did you know you could buy blocks of acrylic from Redbubble? I think they’re designed as a way to display art on shelves and alternative to attaching things to walls. Geek Native has a theory that you can use the same acrylic blocks at the end of the gaming table top stop the dice rolling off, though. Or you could use one as a target to aim at while throwing dice towards the direction of the DM’s screen. 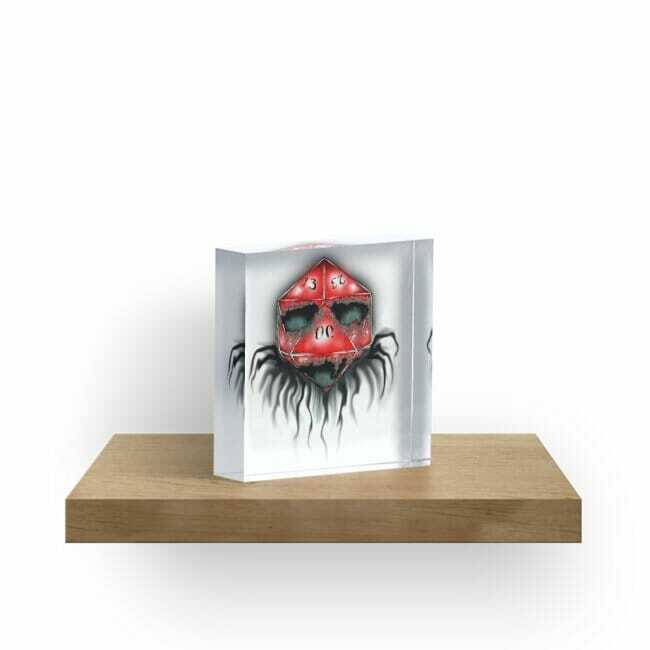 It is with that dice block shield in mind that this evil d20 acrylic block is the first suggested item on the Valentine’s Day geek gift raid. Notebooks are another safe bet at Redbubble, and the site has many formats. 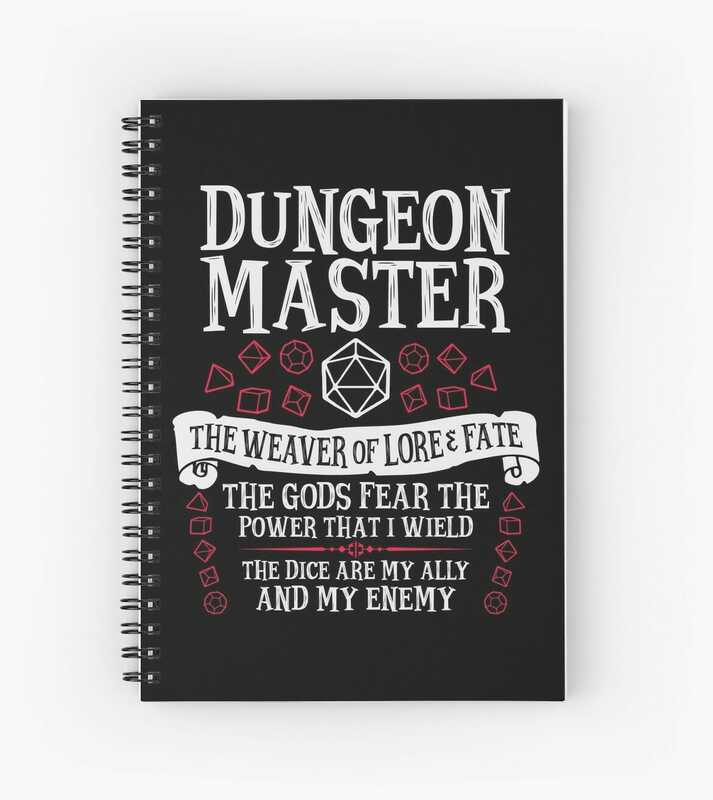 Dungeon Master The weaver of lore & fate. The gods fear the power that I wield. The dice are my ally and my enemy. 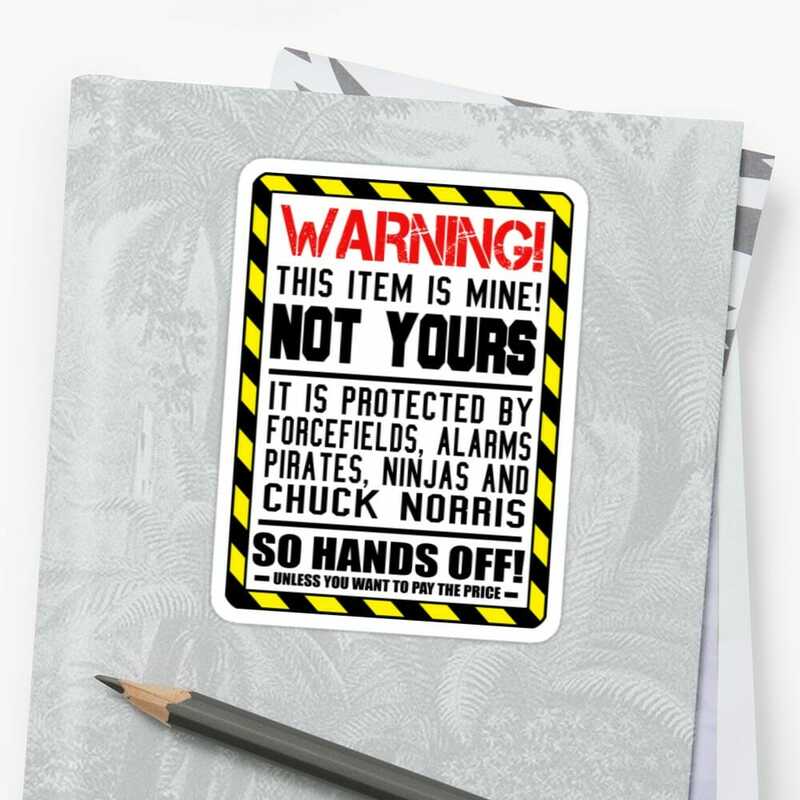 If you’re sharing space with your SO or know that they’re in a constant battle for territory with their flatmates, then some stickers might be a funny idea. This design by inpossible is a good one as it’s nice and generic and mentions forcefields and ninjas. Yup! Redbubble now does bags. The site calls them ‘studio pouches’ and they come in three sizes. 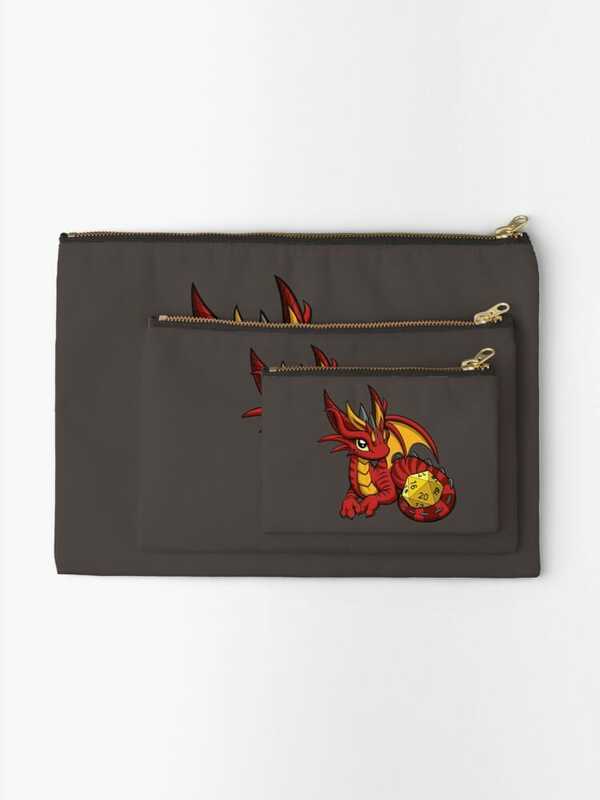 The small dice bags are suitable for carrying keys (a few dice), the medium dice bags are good for a pocket camera, or toiletries (a set of die) and the large dice bag can carry most sizes of ipads and art supplies (enough die). All that you have to do then is find a design you like. 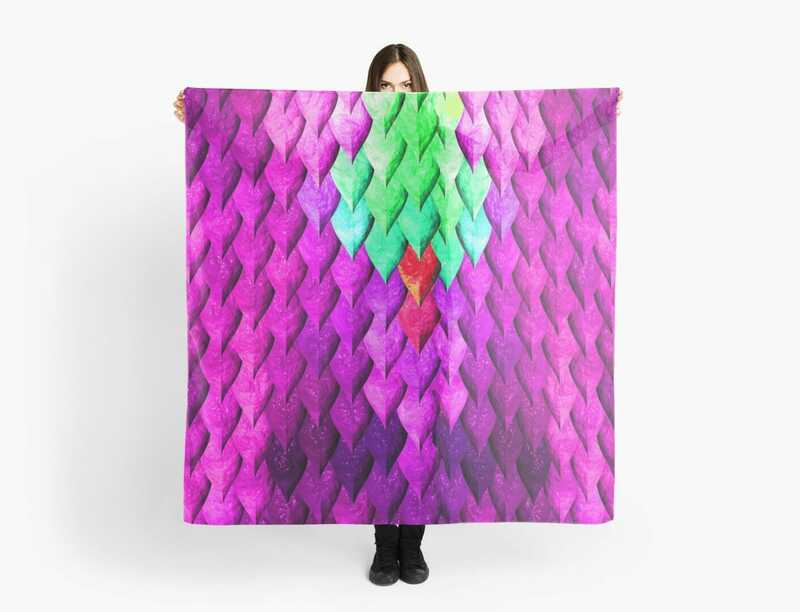 Geek Native likes this cute little dragon by Rebecca Golins. 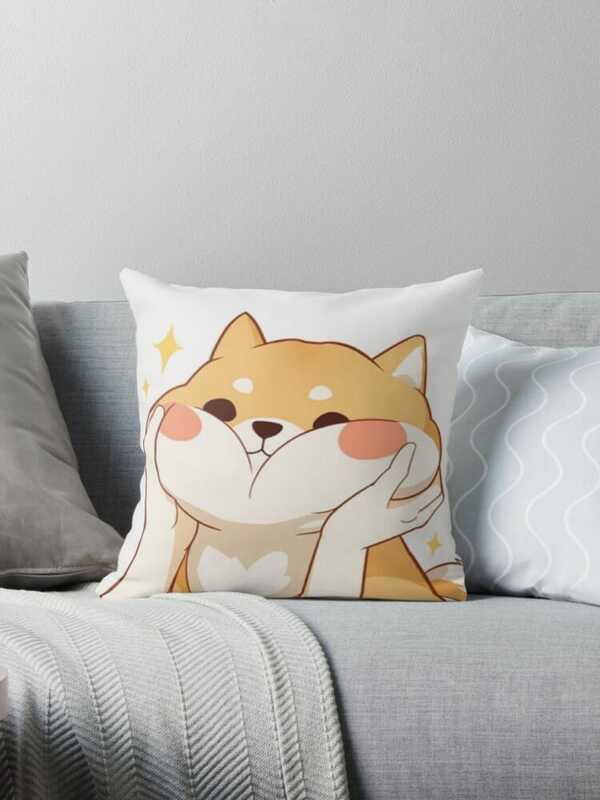 If you want to drop a hint why not get your partner a pillow this Valentine’s Day pillow. Also, turn up the suggestion factor to level 10 and make it an anime pillow. Something like this Kawaii Shiba inu. It can’t be a Redbubble post without a little bit of fashion. Let’s try and throw a curveball, though, and go with both dragon scale and scarves. This design by tackiethings is certainly bold. It’s purple and green and should (surely) transform anyone who wraps it around their neck into a dragon. Finally, there’s the classic Valentine’s Day card. Why not through in a bit of cheeky with your romantic message though. 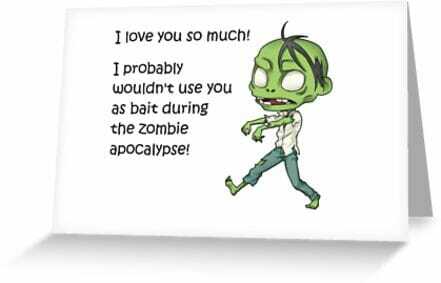 Cheek, brains and guts… go Valentine’s Day zombie! In the unlikely event of Redbubble dropping prices in time for Valentine’s Day (hey; they do like their discount codes so it might happen) here’s Geek Native’s coupon tracker for the site. Lastly, watch those delivery times! Depending on when and where you are in the world you might now need to use express delivery. Share your thoughts. Leave a comment below or join on Twitter.